I am excited to be posting our first international FREE download! It is so you can make your own lille huset with a “down under” theme! 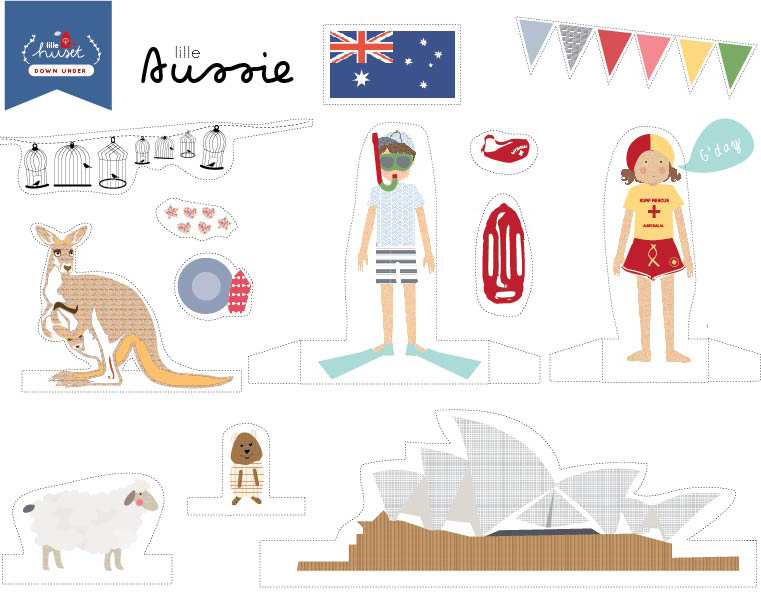 Just cut out our little Aussie friends and have some fun.